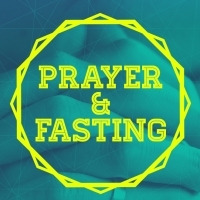 Hello, in Sunday School today the topic our class discussed was fasting, and there was some interest expressed in inviting those in the congregation who feel called to do so, to set aside a time of corporate fasting. It is a time when we combine our thoughts and voices to pray for our nation, our state and city our leaders, our church and ourselves to seek God's Voice to lead us to a deeper understanding of Himself and how to minister to each other, both inside and outside the walls of our church. Due to medical conditions, etc., everyone can decide if they wish to fast for one meal or the entire day, that is your personal choice. Please, speak with your doctor or other professional if you have conditions that may prevent fasting from food to ensure you get medical approval. You may also participate with another type of fast, for example, by spending an hour or more without using electronics or social media and instead focus yourself in prayer on God. Let's set aside every Wednesday, and fast the Wednesday of each week. Our last fast will be Wednesday, March 28. Here is a suggested focus for each week, but by all means, pray for that which you feel led to pray. Week 1: Our World, for peace, and for the world leaders to have unity. The healing of earth and for the people to begin to care for the resources we have been given. Week 2: Our nation, our leaders to draw near to God and make decisions that are in line with God's teachings. Week 3: Our city, that we remain strong and a sanctuary for many. That our community leaders make decisions that are sound and in the best interests of the citizens. Week 4: Our church, our leaders, both clergy and laity, that God continues to bless our church and to guide us to see the ministries that She is opening to us. Week 5: The families and people of our church, that we shine as a beacon of the diversity of God's Love, to our communities. Help us to see the hurting, the homeless, the sick, the oppressed, and strengthen us to be more like Christ to them and to each other. Week 6: Thanksgiving and praise for the Holy Sacrifice that God in Christ made, which is what makes this Easter season and a life of knowing God possible.